Today is a day when we as a nation look inward and backward and catawampus, reflecting on the history of baseball and how we can shape it into the past we wished it would have been. And as we watch our benevolent elites erase twenty years’ worth of box scores from their own yellowing newsprint, take a moment to enjoy our national pastime just as it appeared in the early days of Jack Morris. Play, vicariously through me, some Classic Baseball. Glimpse upon the ball itself, burning fiery crimson with the passion-rage of the athlete who loves his game too much. Consider the bases, each the size of a real man’s heart, the only part of each baserunner visible. Stare at the emerald green of the turf, the quaint dirt path from the mound to the plate. Watch Morris pitch to the .700 OPS of Chris Chambliss, representative average hitter of his generation. Note the conspicuous absence of Lou Whitaker or Alan Trammell. 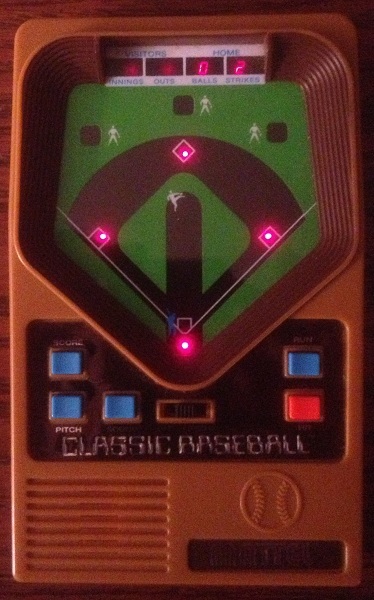 Jack Morris’ baseball doesn’t have any statistics that can’t be represented by LED lights. There’s no room for FIP, or ERA, or hits, or errors. There are innings, outs, balls, strikes, and the score. There are wins. In baseball, you win or you lose and that’s what you are. Sometimes you hit the ball and it beeps three times; sometimes you hit the ball and it makes an angry sound. That is all there is to say. That is life. This is real baseball, free of chemicals or graphics or analysis. This is Classic Baseball. We hoped you liked reading Baseball in the Jack Morris Era by Patrick Dubuque! I loved this game growing up, and football too…but this was hours of entertainment and a cause of a punch my Dad got growing up….I was relaying some stats to him from one of my numerous games and he snipped away and said “why don’t you grow up!”, which lead to my snipe,”Why don’t you grow a spine!”, and he gave me the look and charged…which consequently lead to a punch in his nuts, then windpipe….he wasn’t aware his 14 year old eldest was in his 4th year of martial arts after he left my sweet Mommy! I still smile when I think of that day!